I have a 2019 Tarmac pro which I have already upgraded wheels to roval cl32 and also added ENVE aero bars and ENVE Stem. I was considering selling it and just buying a model with Di2 but now thinking of maybe upgrading more. I do a lot of climbing so I am pretty weight conscious. So I am debating upgrading the mechanical Ultegra to possibly Di2. My fear is it’s going to be heavier so not sure Di2 is worth it? The other option was to upgrade the cranks, derailleurs, rotors and cassette to dura ace and stay mechanical which would be the lightest dropping about 2-0 grams and also the cheapest option. Would like to hear input from others. I bet if you tried Di2, you wouldn’t mind the slight weight penalty. These days it’s quite unusual to see somebody going the other way (from electric to mechanical) just to save weight. 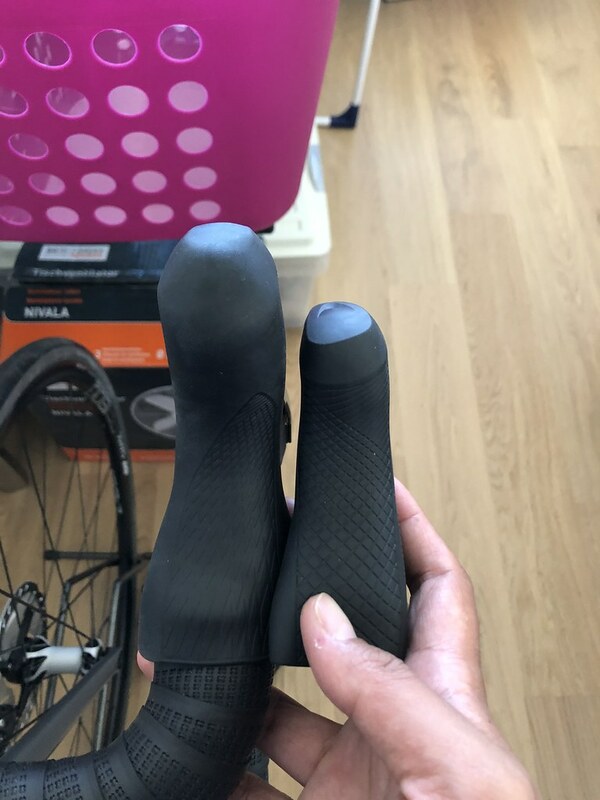 Di2 is not worth it... I honestly dont get why so many people love it - shifting feels clunky and you have less control both over shifting and serviability. (control over shifting - no way you could ever move as fast through a cassette on DI2 as you can with mech, individual shifts may be faster, but getting from one end of the cassette to the other is a lot quicker with mech). Get rid of discs and you'll have already asved yourself like 500g. There's heaps of ways you could make it lighter... all you have to do is spend the money. If your shifting habits aren't great (most of ours aren't) then you can benefit from di2. If you have good shifting habits you'll benefit very little. Personally I'd stay on duraace mechanical. However, everyone needs to choose themselves. Following someone else can be a mistake. If I already were on ultegra I wouldn't upgrade to duraace. The price is simply to high and benefit marginal. Upgrade everything else and be happy with the bike. Tires/tubes/bolts/bars/seat/rotors/QR. Shimano's mechanical hydro levers are monsters. ST-R8020 is 554 gram where ST-R8070 is 360 gram. If you continue to ride on disc brake, I even think Di2 is worth $$$ simply because of replacing those horrendous hoods. The other thing Di2 gains you is the deletion of the godawful looking mechanical cable routing on all these frames! The Di2 wire can follow the brake line into the frame. I built my S-Works Tarmac with Ultegra Di2 Shifetrs/Mechs/callipers rather than Dura as the cost-weight value just didn't stack up for me. Like yours, I used CLX32 wheels and S-Works bb30 chainset, the used Fizik R1 bars and stem as I like the looks and performance. But he does a lot of climbing, which means a lot of descending, which means he should probably have discs, which means he should probably have an electronic groupset So campy SR EPS for me! Best looking disc brakes! Or if you must, SRAM. Or a lightweight set of aluminum clincher wheels. But I wouldn't feel safe doing a lot of descending on carbon rim brakes (not to mention the wheel replacement costs when the brake surface goes). So you really think your Strava times and/or racing times are going to be affected by the ~50g weight penalty? I don’t but don’t think electronic would either. I did that conversion and I can tell you that it's worth it. As mentioned before, the terribly large/ugly hoods of the R8020 shifters is already reason enough. You will love electronic shifting. Plus you'll save a few grams, not gain with the conversion. just hope you're at peak body weight, otherwise its' just silly. i know this is weight weenies, but its also dollars in the local bike shop's pocket. on my newest bike i went ultegra instead of dura ace deciding i should really focus on body weight first. Rear hub dilemma - what brand is this?